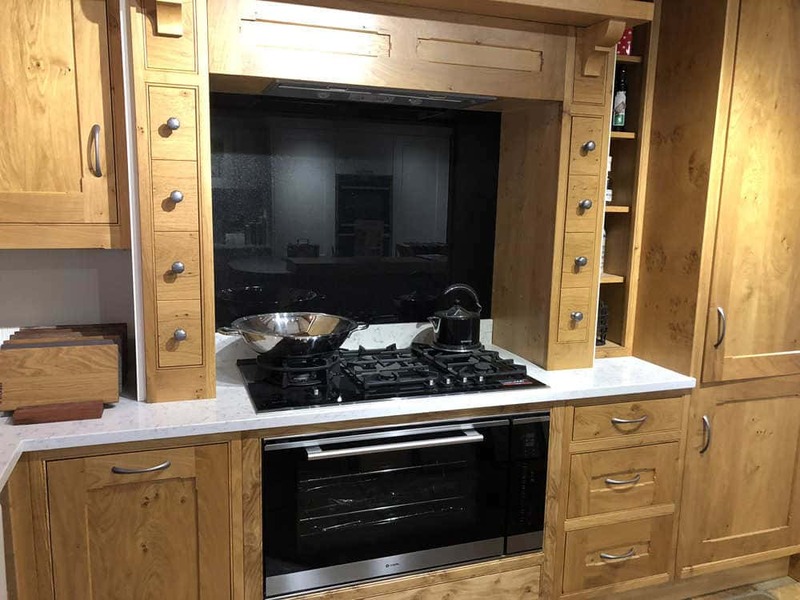 Here at New Kitchens we offer the complete package. The finishing touches include beautiful worktops, and we can offer our high quality German laminate, Quartz, Corian, Dekton, Spekva and Granite. 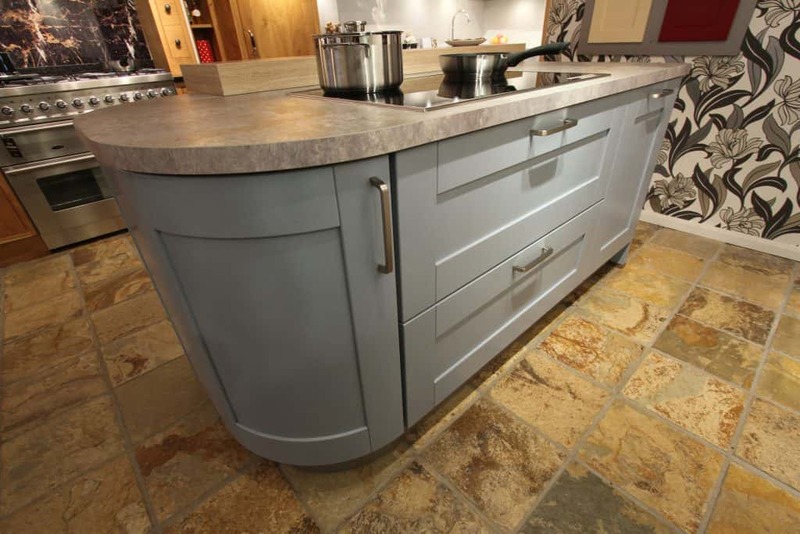 With the vast choice of colours and designs available with the worktops we offer, there will be something to suit your work space, style and budget. 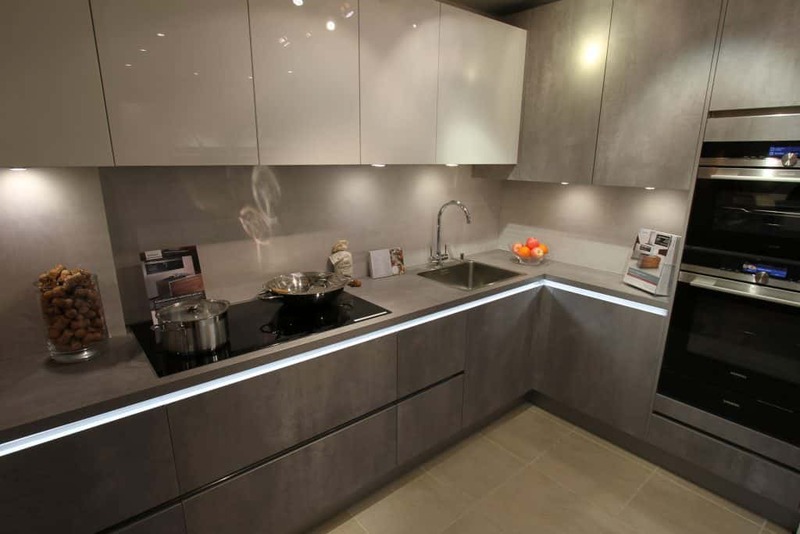 German laminate a popular choice due to it being more cost effective and featuring a number of different style effects and colours, which would suit any kitchen design. Laminate includes wood and stone effects or plain colours. 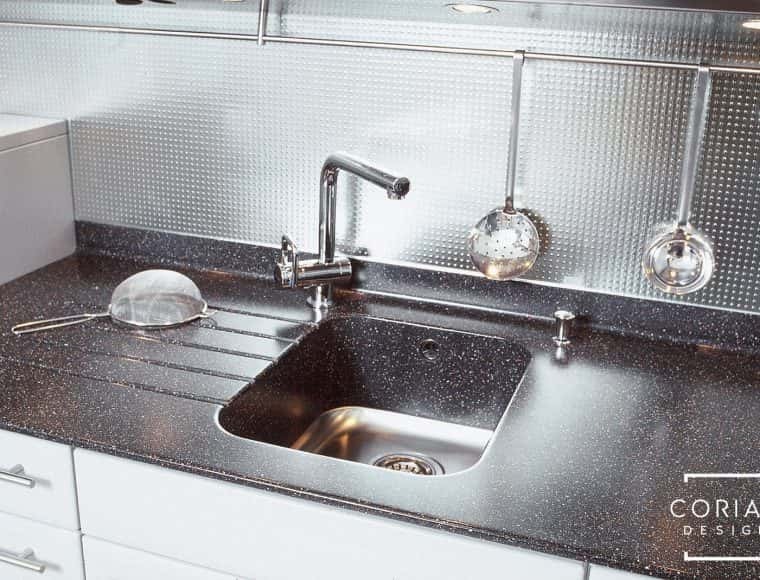 Worktops are 40mm thick however some are available in 16mm thickness. 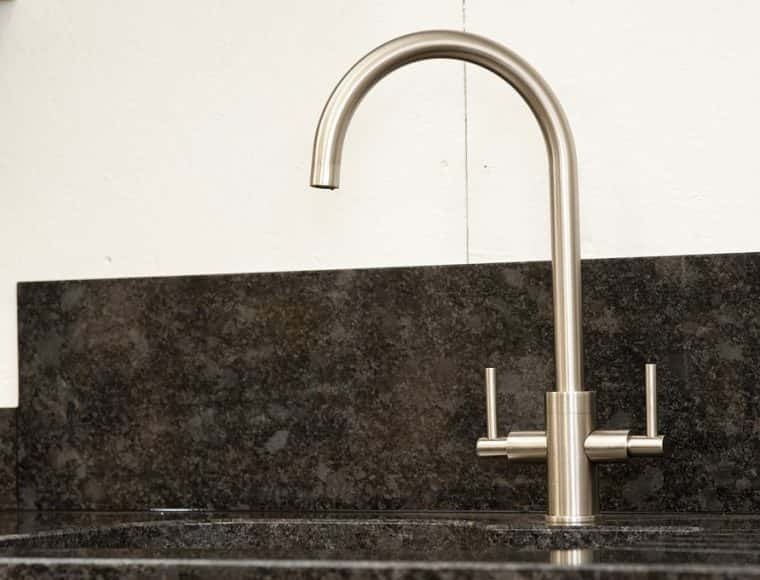 Deriving from 95% natural stone, quartz worktops offer exceptional resilience and are ideal against bacteria considering its hygienic qualities not currently available with other products. 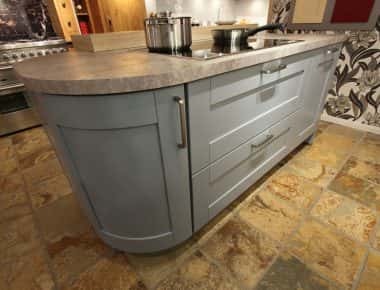 Worktops are available in 20 or 30 mm thickness, New Kitchens can source and install quartz from many reputable well known quartz manufacturers. 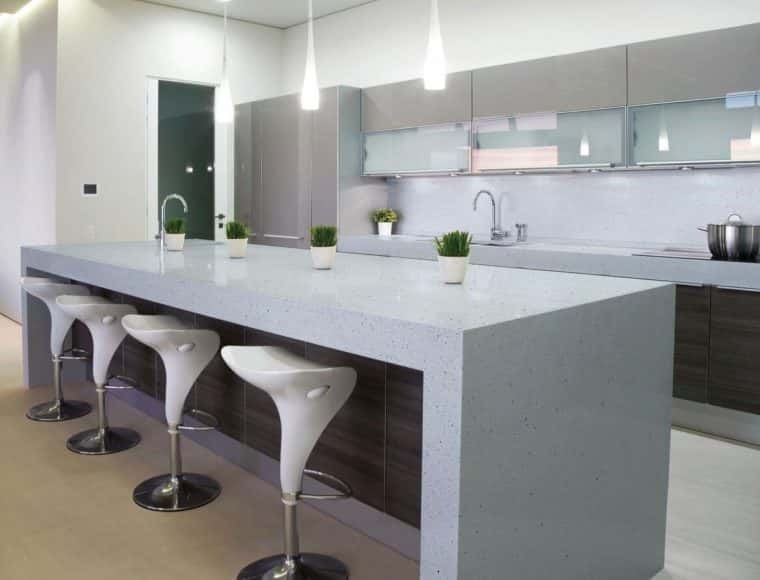 Corian is an acrylic based worktop manufactured by Dupont. It offers unique design features and is a completely seamless finish with no visible joints. Corian surfaces can be utilised in a variety of innovative ways, leading to exciting opportunities in modern kitchens. With excess of 100 colours available, Corian is an ideal material that can be crafted into almost any shape, therefore giving unrivalled customisation to your new kitchen. Website: www.corian.co.uk. Granite is a natural stone which is cut to 20-30mm thick, New Kitchens work with companies that source the stone from around the globe. The trusted relationships between our suppliers certifies that any imported stone we use is of the best quality available. We can also complete your kitchen with finishing touches such as glass splash backs, available in a wide selection of colours either to compliment the colours of your kitchen units or to add a bold splash of colour. 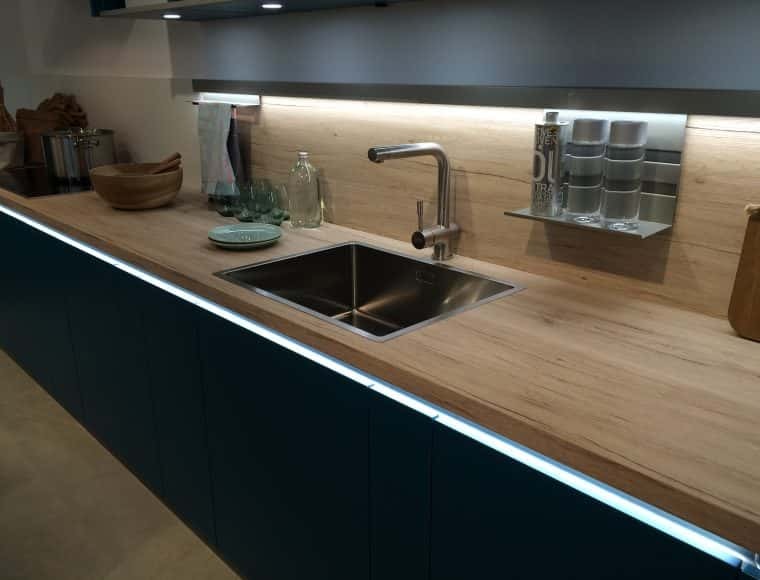 LED under cabinet and plinth lighting can also be installed to create mood lighting for a more social space and task lighting for everyday tasks like food preparation.